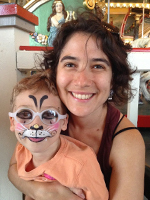 Jacinda co-founded Fiddlehead Art & Science Center in 2002. 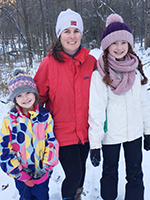 After more than a decade of early childhood and after school experience, she chose to pursue the creation and opening of one of Maine’s first public charter schools – Fiddlehead School of Arts & Sciences. Jacinda has her Masters in International Marketing and Management as well as a background in project management, both in non-profit and for-profit businesses. She is fluent in Spanish and with a vision and love of art and culture, she has helped bring alternative education to the forefront in our community. Her husband, Tony; daughters – Marita & Yote; and sons Dexter and Dante inspire and encourage her daily. Her biggest passion is her family. 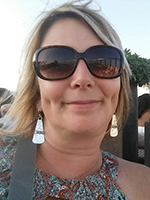 Joanna has been involved in education for nearly twenty years, fifteen of which were spent as a classroom teacher. She holds a Master’s Degree in Elementary Education from Smith College in Massachusetts, and has taught every age from Pre-K through 5th grade. Joanna’s experience includes teaching in a college lab school that serves as a model for Reggio Emilia in the U.S., as well as numerous progressive schools that utilize project-based, interdisciplinary learning. Outside of her work at Fiddlehead, Joanna is a registered yoga teacher, a mother, an active participant in her son’s Portland public school, and an advocate for equality for all children. In her spare time she’s helping her husband open a restaurant in a renovated 1780’s homestead in Buxton! Lee Ann’s dedication to the field of education is highlighted by over 20 years of experience working with students and families in both public and private sectors. 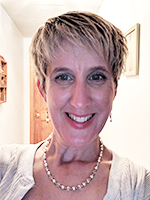 Prior to joining the Fiddlehead community, she was employed with Child Development Services for 17 years and recently graduated with a Master’s Degree in Special Education from the University of Maine. As a firm believer in the importance of collaboration, she is committed to building strong parent-school partnerships and promoting a student-centered learning environment. On a personal note, Lee Ann and her husband, along with their three sons, reside in Brunswick where they are active members of their community. She enjoys spending time with family and friends, traveling, running and attending her children’s sporting events. Shannon has been working with young learners for the past seventeen years. She received her bachelor of science degree from Montana State University in Health and Human Development with an early childhood credential as well as being Montessori certified for ages 3-7. She has most recently received her masters degree in school counseling from Concordia University, Wisconsin. 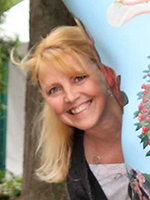 Shannon is passionate about social/emotional learning and looks forward to helping the students, families and staff work together to help the students of Fiddlehead reach their goals in all realms of learning and development. Shannon is originally from northern Wisconsin and is one of seven children. She has two daughters of her own and has lived here in Maine with her husband and two children for the past eleven years. Shannon has a passion for nature and the outdoors and incorporates this into her teaching and counseling as much as possible. She enjoys, swimming, skiing and spending time with family. Barb Landry has 30 years of experience in Accounting, with 18 of those years working in an educational setting. Barb received her Bachelor’s Degree in Accounting from Saint Joseph’s College in Maine. She and her husband Lee live in Windham. They have two adult children, Justin and Kali. Barb enjoys spending time with her family, gardening, kayaking, camping, and hiking. 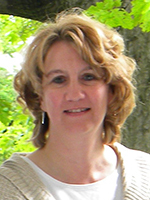 Karen has 10+ years of experience in education, having previously taught 2nd and 4th grades. She attended Rutgers University in New Jersey. Karen and her husband, Kurt have been married 25 years and have 4 children. In her spare time, she enjoys travel, the beach, and spending time with her family.